“Hyperbole” – exaggerated statements or claims not meant to be taken literally. Hyperbole is a staple of Internet criminals. 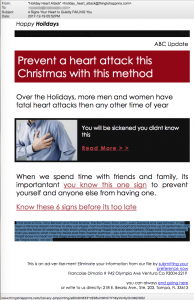 We have reminded readers repeatedly to delete emails that contain words like “shocking” because they are so often used to lure them into clicking malicious links. Here’s another one to throw on the fire… “Megyn Kelly’s Shocking Admission Wednesday” (Also, notice the white text at the bottom of the email. It was taken from an online copy of The Bobbsey Twins that was published under the pen name Laura Lee Hope in 1908.
Who knew these criminals enjoyed such a nice read? 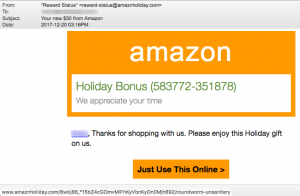 Attn: Your Amazon bonus rewards are available to claim. Few phish in the sea this past week! We only found two. 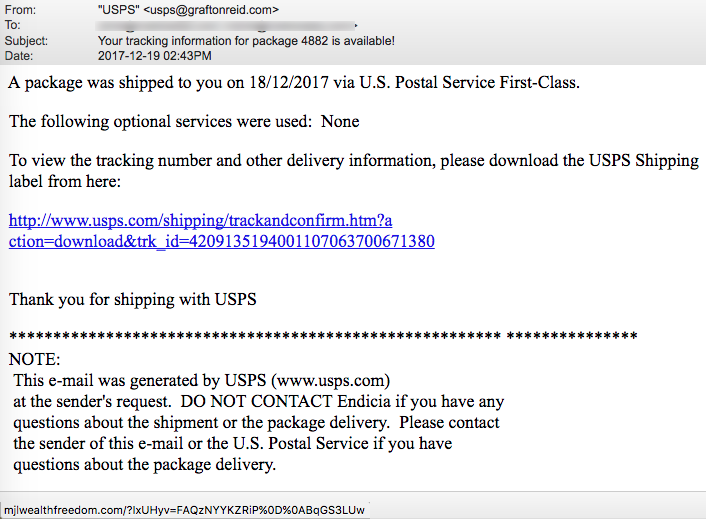 But WOW, this first one must be a joke phish! 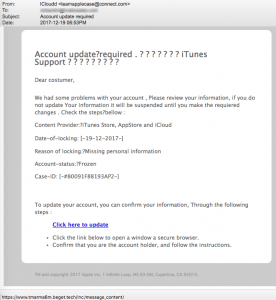 Considering how poorly this Apple iCloud phish was constructed, we wonder why the criminals bothered to send it. Hope springs eternal! 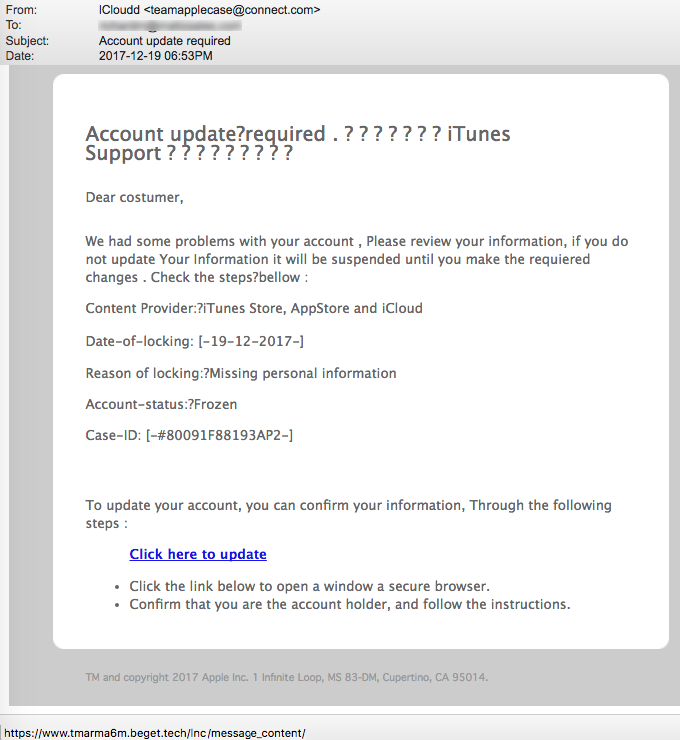 See for yourself… “Account Update Required” says an email from iCloudd @ teamapplecase-DOT-com. We counted at least 15 English, spelling, grammatical, spacing and capital letter errors in this email. Oh yah, and the link doesn’t point to apple.com. This next phish is better constructed. It targets users of DCU, Digital Federal Credit Union in Massachusetts. 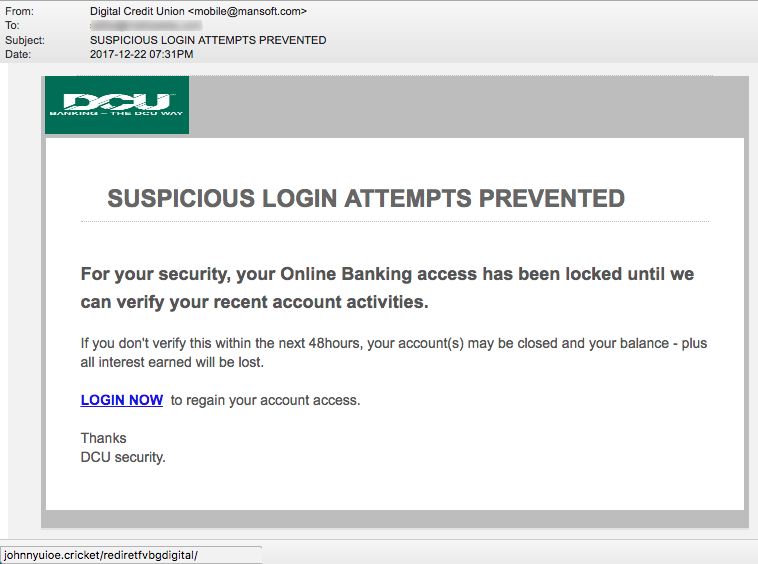 “SUSPICIOUS LOGIN ATTEMPTS PREVENTED” Of course the email clearly doesn’t come from DCU.org. However, we sure love their scare tactics in the email: “if you don’t verify this within the next 48hours, your account(s) may be closed and your balance – plus all interest earned will be lost.” WOW! That’s pretty harsh banking rules! 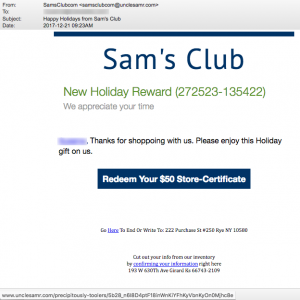 These next three emails are reflective of a long string of emails pretending to represent well-known businesses, offering bonuses, rewards or gifts for taking a survey. All are seriously malicious. 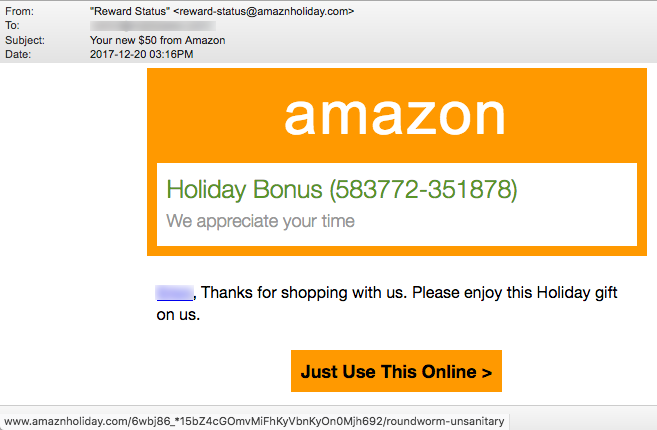 Let’s start with this email from reward-status @ amaznholiday-DOT-com, containing a misspelling of Amazon. 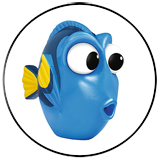 The domain amaznholiday-DOT-com was registered by someone named “David Free” from Michigan. It was registered on the day the email was sent. Look at the link revealed by the mouse-over. Do you think that Amazon staff would actually name a folder used in a link as “roundworm-unsanitary”? “Thanks for shoppoing with us. 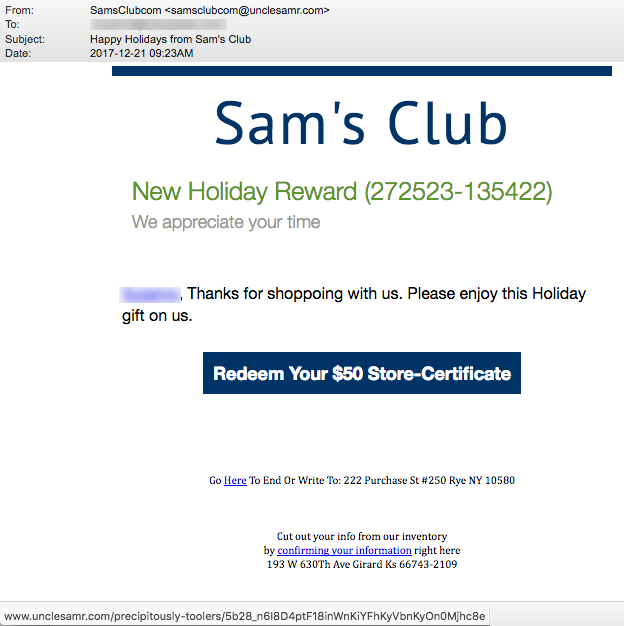 Please enjoy this Holiday gift on us” says an email sent from samsclubcom @ unclesamr-DOT-com. This lame domain was also registered by David Free on the day the email was sent. Same scam, same criminal gang. At least they spelled Holiday correctly. 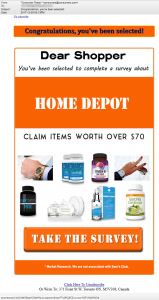 WARNING: DO NOT CALL THE PHONE NUMBER 888-369-2751 LISTED IN THIS EMAIL! Before you get too excited, think about this for a moment. A service claiming to offer a 55% discount on flights for Christmas and New Year’s just days in advance? Do you see a company name? Website? These are also red flags. Given our suspicions about this offer, we decided to do the sensible thing. We called the number! We had a poor connection. The first thing we heard was a poor quality recording saying “thank you for calling airway.” A moment later a man with a very heavy Indian accent came on the line. 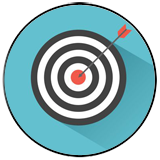 We repeatedly asked the man the name of his company and the address to his company website. We were given neither. 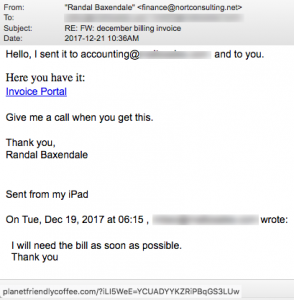 Listen to the two and one-half minute conversation and then ask yourself if you feel comfortable booking a flight with…. Whomever they are! 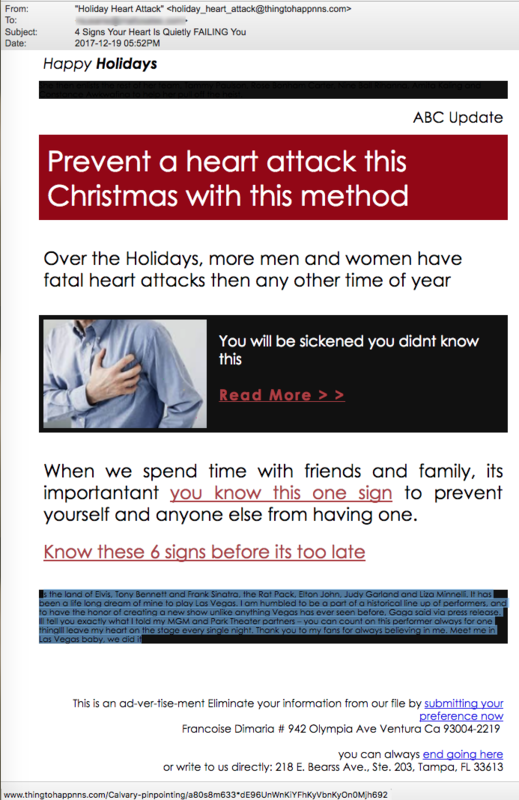 A Google search for 888-369-2751 on December 22 turns up fewer than 10 links and the top two lead to a website called Trashmail.com. 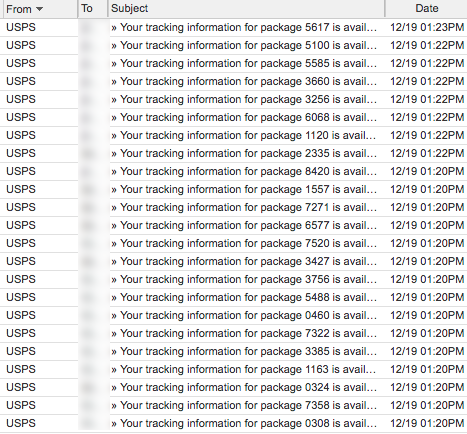 Each link at Trashmail shows the same email we received but from other mismatched personal email accounts. 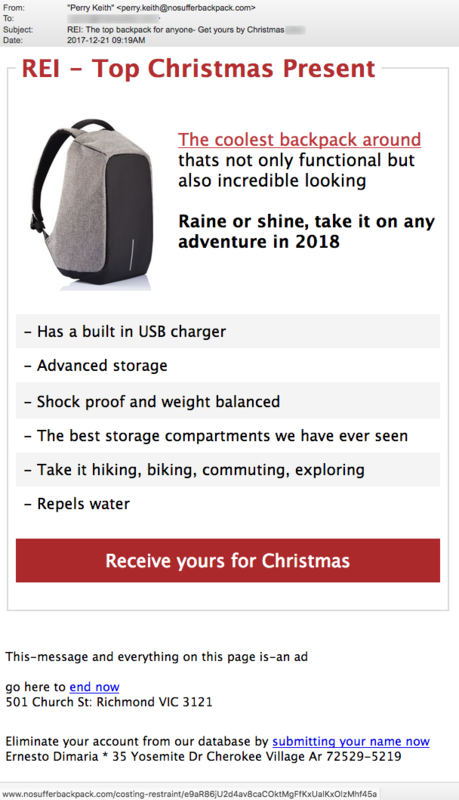 Does any of this inspire confidence to hand over your credit card and other personal information to these people? Let’s move on to the delivery of your holiday gifts. 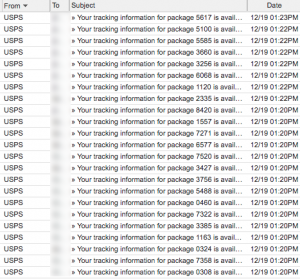 We weren’t expecting deliveries but we were bombarded with 23 emails in about three minutes on December 19 with tracking information from USPS about our many packages! 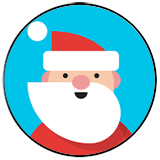 We opened one of these emails… “A package was shipped to you on 18/12/2017 via U.S. 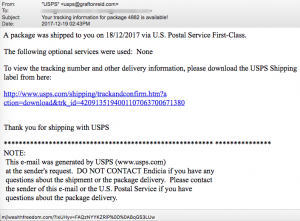 Postal Service First-Class.” The link sure looks like it points to the United States Postal Service website but a mouse-over tells otherwise. It points to a website called mjlwealthfreedom-DOT-com. Virustotal.com shows us that both Kaspersky and ForcePoint Threatseeker found this site to be malicious. We always say that a healthy dose of skepticism is important when evaluating online content. At this time of the year, this axiom is more important than ever! This next BS is clever because it appears as a reply to an email YOU sent two days earlier. Of course that isn’t true. “Hello, I sent it to accounting @ YOURDOMAIN.com and to you. 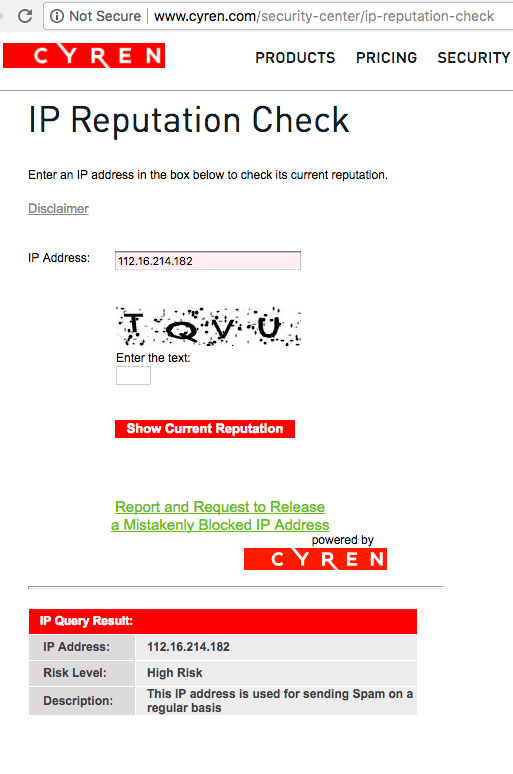 Here you have it:” The link is malicious of course. “Charles ——- sent you a private message” Just click here to “View private message” and infect your computer! 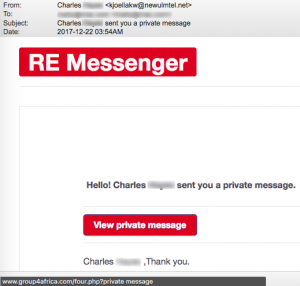 Sophos AV found the link to be malicious. We’ve won the BMW lottery so many times it makes our heads spin! NOTE: If you received this message in your SPAM/BULK folder, that is because of the restrictions implemented by your Internet Service Provider,we (BMW) urge you to treat it genuinely. down rear seats w/ski bag, am fm stereo with single in dash compact disc player.